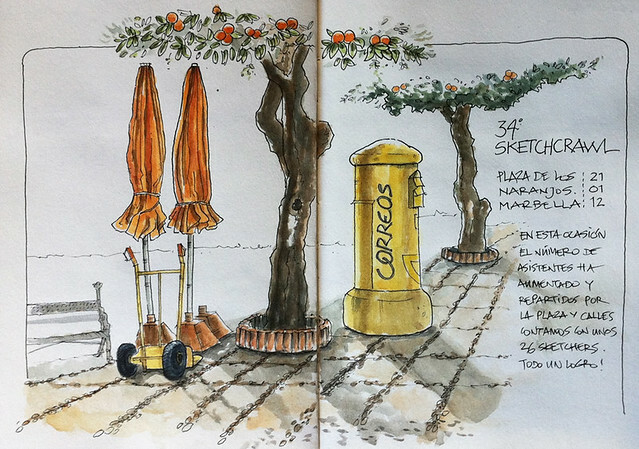 Excellent sketches from Malaga!!! I love the different styles and seeing the Spanish architecture that I love so much. Thank you so much for sharing your work. Very impressive with 20 sketchers! and beautiful work. 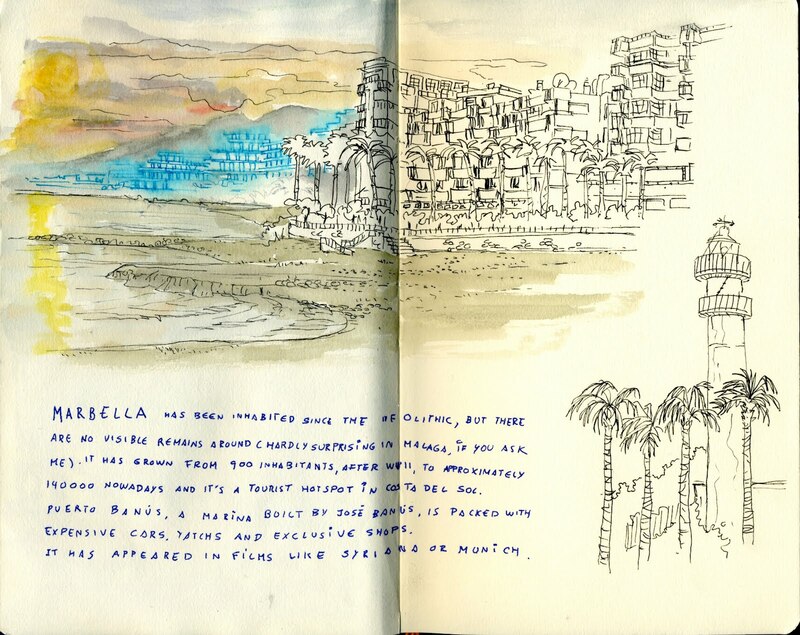 What a beautiful series of drawings with such different styles! 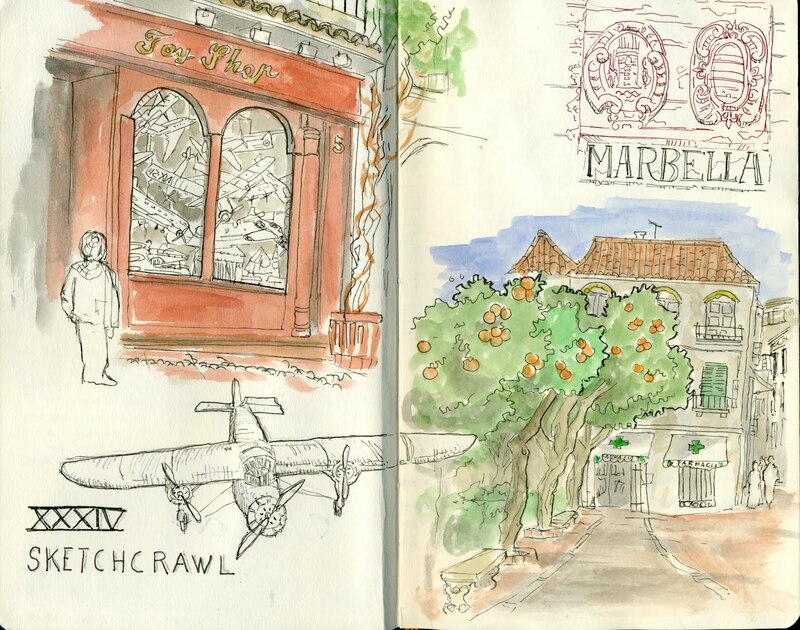 I have been in Marbella in 2009, I have pleasant memories of this place. 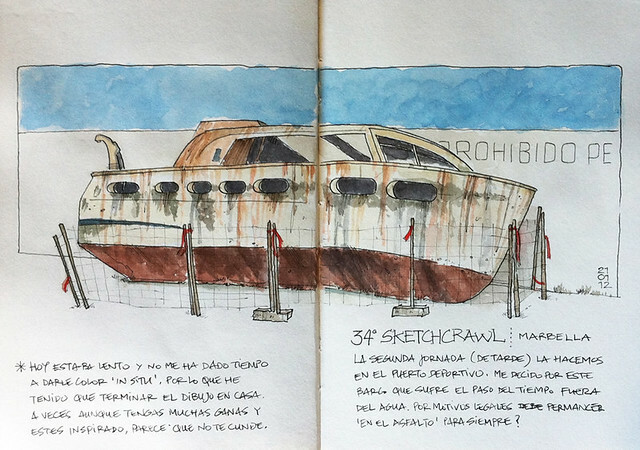 You've had a great idea to go there for this sketchcrawl. 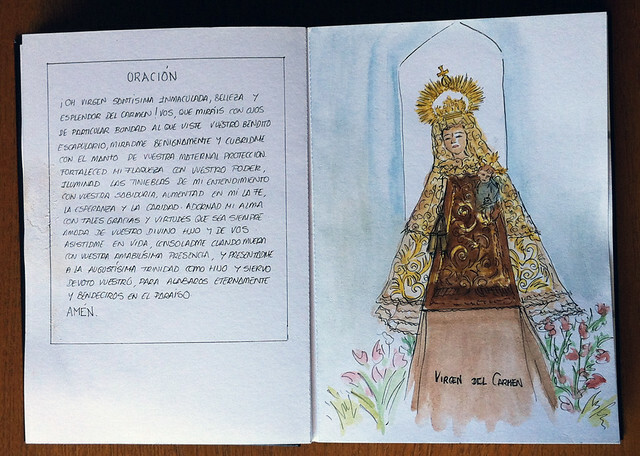 Luis, I remember so well the Plaza of Naranjos, it's been exciting to see it again in one of your wonderful sketches! My favorite is Pablo's vertical tower among the horizontal shelf-like buildings; the tower is so flat and blank --very clever--a good compostion!.